The Accu-Chek pack helps you get quick and accurate results. 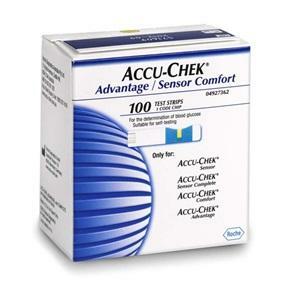 These strips can be used in Accu-Chek advantage meter, Accu-Chek sensor and Accu-Chek comfort. The results generated by the strips available are accurate and the speed of result generation is fast. Every strip in the pack comes with a comfortable curve which makes it easy to drop the blood sample on the strip and test.